Everyone’s favourite superhero family is back in this hotly anticipated sequel to the 2004 movie from Pixar. Elastigirl is sent on a mission to make supers legal again while Mr. Incredible is left to care for Jack-Jack, Violet, and Dash. When a dangerous new threat arises, it is up to the family to neutralize the threat and save the day once again. 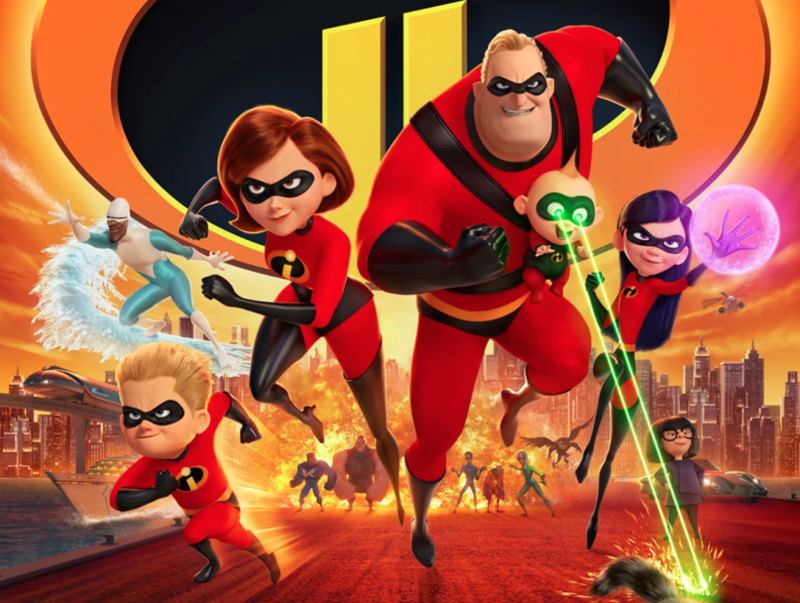 Incredibles 2 was described by Empire as a “gloriously fun family parable”.